The Climb brings alive the excitement and thrill of rock climbing in incredible virtual reality. Players will scale new heights and explore stunning environments in a new gaming experience developed exclusively for VR, using the power of CRYENGINE™. The Climb came from a simple idea inspired by climbing in real life – that the climbing motion would be fundamentally cool in VR. And it was! Since it was first prototyped in whitebox, we took that core mechanic and turned it into to a full-scale production sports game with real depth, complete with a range of game modes to help you learn, practice, explore, and compete. In this blog, we’ll take a look at the game modes you’ll get to experience in The Climb, with additional insight supplied by Game Designer Niklas Walenski. The Climb’s core game mechanic is intuitive, but we know there’s a lot that’s new with the game. It’s a new way to experience rock climbing in a game, VR is still a massively new “thing,” and we’re aware that The Climb might just be a player’s first experience with an HMD. 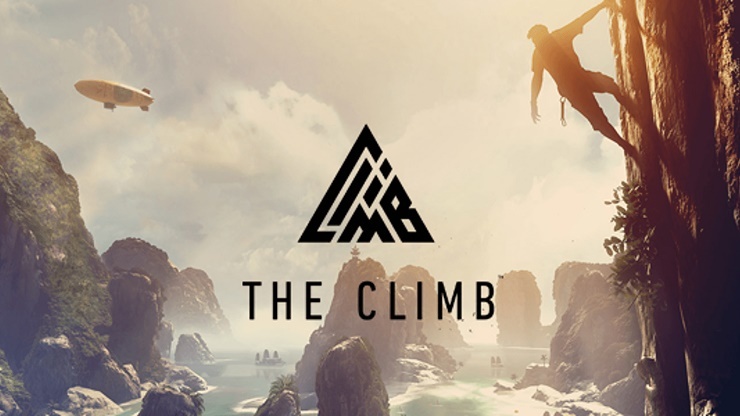 In The Climb, you will have moments when you need to physically lean forwards to reach a grip or look around a corner, which is most likely a new game mechanic for most players. So rather than throwing you straight into the game, we open up with a tutorial that explains the basics, so you can comfortably and easily play the first level in the game. After you’ve translated what you’ve learned into beating the first stage, we’ll give you a second tutorial which introduces some of the more complex moves and grips you have to take on.